The renowned Danish architect Bjarke Ingels has been tasked with designing a new football stadium in Greenland, according to Kalaallit Nunaata Radioa (KNR). 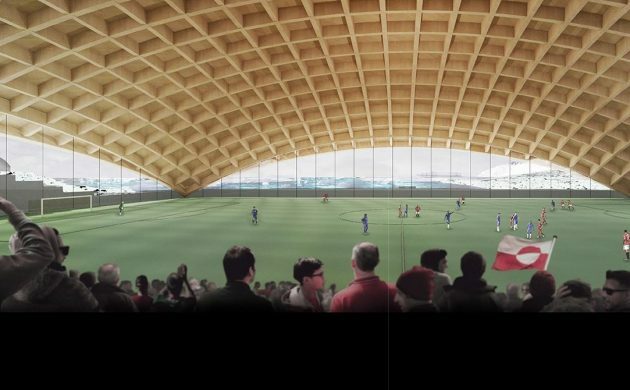 The indoor stadium will be located in Greenland’s capital, Nuuk, and will include massive glass walls to give spectators a fantastic view of the fjord outside. Ingels has great expectations for the future stadium, which he contends will become more than just a location for sporting events. 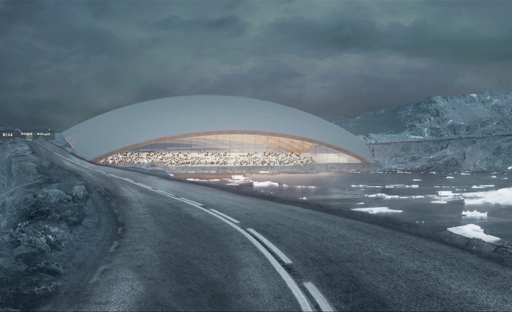 “The thought is simply to make this place a new commercial and cultural centre in Nuuk,” Ingels told KNR. Ingels said he was inspired by the Katuaq culture house and the Malik swimming hall, which both draw from natural phenomena like the Northern Lights and the ocean. The star architect has meticulously studied the landscape around Nuuk to best fit the stadium into the natural surroundings that characterise the capital. He hopes it will eventually have as big of an impact for Greenland as the Sydney Opera House has for Australia. Bjarke Ingels was also recently tasked with designing Google’s new headquarters in London.